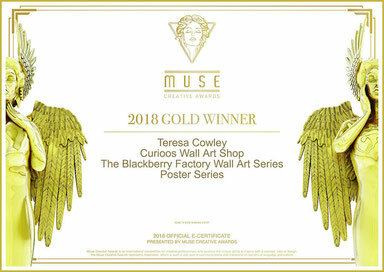 Gold Winner at Muse Creative Awards 2018! This whole idea came about after using blackberry juice to dye papers for the covers of a junk journal (I also love paper crafting). 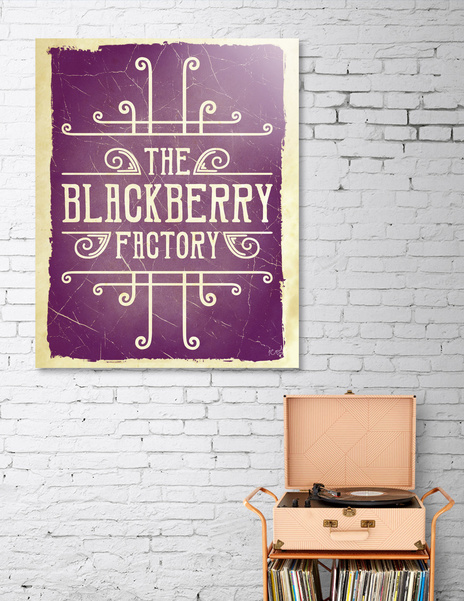 I started to imagine this crazy steampunk style factory producing blackberries (the fruit not the phone) for some reason as I thoroughly saturated the paper with the juice from the freshly picked berries. Weird, huh? I began to think of what advertising posters for an old fashioned factory that produces blackberries would look like. Would they have parts of the machines in them or just be typographic? I started working on a design with valves and pipes, then I played around with typography and simple ornaments to create a frame around the machine parts. It was around this time I began to use the paper I dyed on the covers of a junk journal and thought to use the piece I designed on the cover. But the more I thought of it, I thought something like a typographic label would work better. The dyed paper took on an intense purple colour Hence the colour choice for the typographic label. Out of curiosity, I took parts of the typography layout and put it on the facade of a building next. 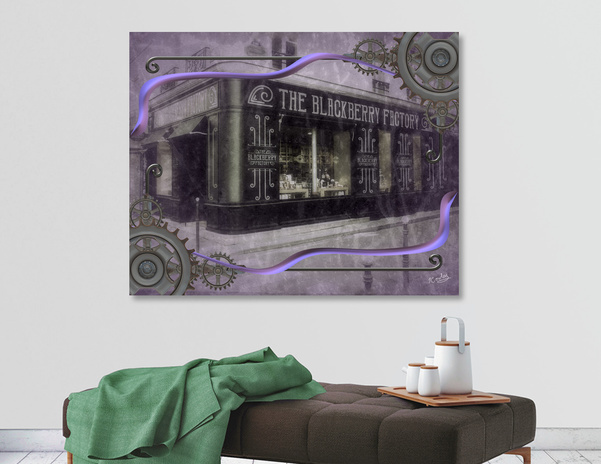 I had three designs but couldn’t get the looking the way I wanted so put them aside for a while until I had the right tools for an authentic vintage look and finally finish what I started. Although I love the way they turned out, I ended up liking the junk journal cover without any extra images so I didn’t use any of these designs for that purpose. 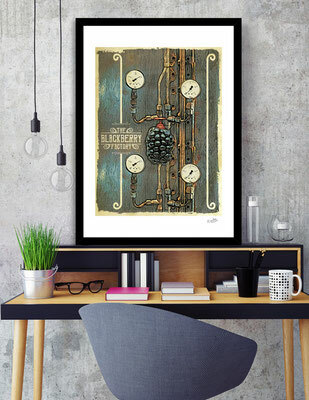 I still really like they way they turned out, though and would love to share them with my fellow steampunk lovers. I have larger views of the series showing more detail on my Behance profile for anyone that would like to see.